Last month, the story of how my great-grandfather came to be sending clams and oysters to the White House during President Wilson's presidency received featured recognition here. If you missed last month's post, you can view it here: http://www.hhhistory.com/2016/07/clams-and-oysters-in-white-house.html. I grew up hearing stories of my great-grandfather's 1st cousin and how I was loosely connected to United States "royalty." So much of that part of my family seemed like nothing more than an entertaining bedtime story. That is, until I went to college with a minor in history and became an author of historical fiction just six years after graduation. Details left out or forgotten in my childhood mind became somewhat of a passion for me. It wasn't until recently, with the research associated with the series I'm pitching that's set on Chincoteague Island, that I realized just how fascinating my family history is on my mother's side of the family. My father's might be fascinating as well but with so many deaths during World War I and the Influenza Epidemic, specifics and details are quite difficult to find. I won't give up, though. For now, it's the family history I can research a bit more easily. Edith Bolling was a descendant of Virginia aristocracy, so it's only natural that she remained immersed in elite society, wherever her life took her. She was born the 7th of 11th children in Wytheville in 1872. Her life intersected with my family history in 1895 when she visited one of her married sisters in Washington and met a businessman named Norman Galt (my great-grandfather's 1st cousin), who was the current owner of Galt & Bro. 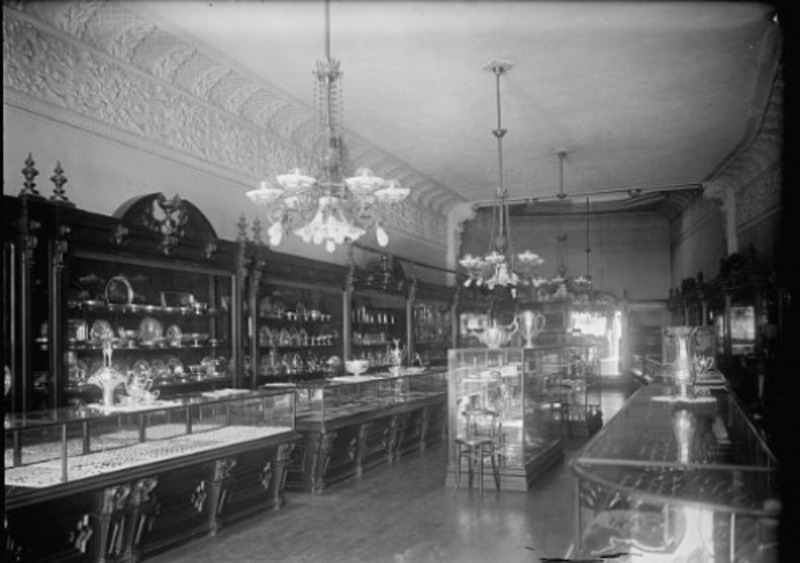 Jewelers, established in 1802. Edith and Norman married in 1896 and she lived happily for 12 years. 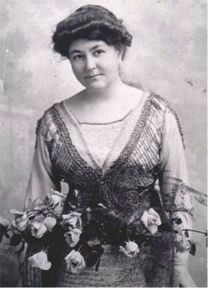 In 1908, Norman died unexpectedly, but Edith Galt chose a fantastic manager who operated the family's jewelry firm with financial success, giving her a good dose of added business sense which would serve her well for what was to come. Her shrewd decision is what helped that business continue serving the elite members of Washington society and politicians for 200 years, leading it to be Washington's oldest established business in the District. 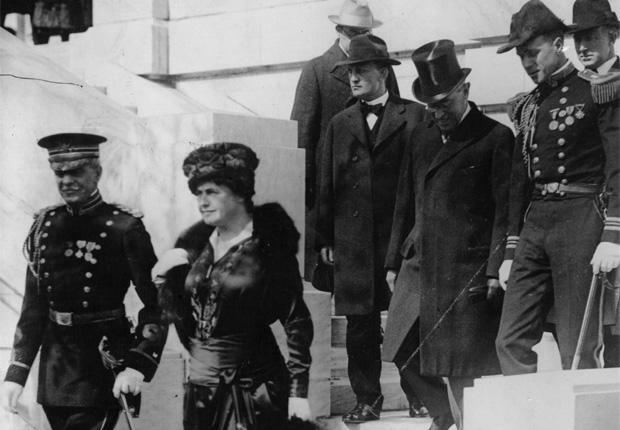 By a quirk of fate and a chain of friendships, Edith met the bereaved President Wilson in 1914, just 8 months after his beloved wife's passing. The president was still mourning profoundly for his first wife, but he took an instant liking to Edith, and that soon changed to love. 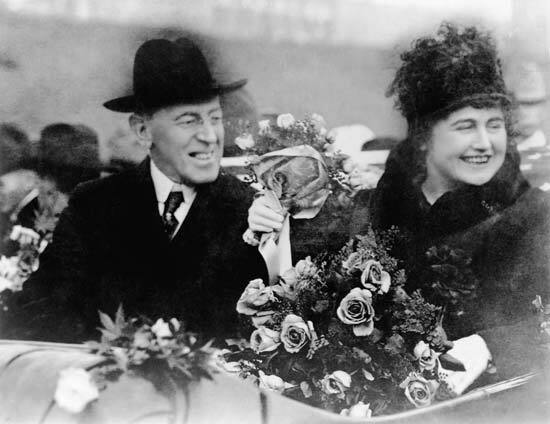 Unlike Wilson's first wife who was shy and avoided politics, Edith shared Wilson's passion, leading to a whirlwind courtship and marriage. When he proposed, he said "in this place, time is not measured by weeks, or months, or years, but by deep human experiences..." They were married privately on December 18, 1915, at her home. Remember, I mentioned above how Edith was descended from Virginia aristocracy? Well, that family legacy, upbringing, and culture prepared her quite well for the role of hostess as the new First Lady. Unfortunately, the war in Europe overshadowed just about everything else. Edith jumped right in and became a true helpmate to the President, working hard to keep him fit under tremendous strain. When a stroke left the President partly paralyzed in September 1919, this is where Edith stepped into her chosen role as First Lady and gained unusual significance through her hard work and support of her husband. Legend has labeled Edith as a "secret president" or even the "first woman to run the U.S. government." But according to Edith, considered her work as her "stewardship." She didn't try to control the executive branch, initiate programs, or make major decisions. She merely took over many routine duties and details, selected matters for her husband's attention, and let everything else go to the heads of departments or remain in abeyance. Everything she did was in full partnership with her husband, and it was done out of her deep and abiding love for him. I can only imagine how I'd handle such a responsibility! That oft-spoken inspirational quote, "God doesn't call the qualified; He qualifies the called" runs through my mind right now. Oh, to have been able to sit down and talk with Edith after her time as First Lady passed. 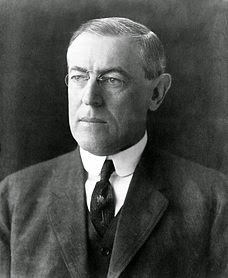 In 1921, the Wilsons retired to a comfortable home in Washington, where he died three years later. A highly respected figure in the society of the capital, Mrs. Wilson lived on to ride in President Kennedy's inaugural parade. She died later in 1961: on December 28, the anniversary of her famous husband's birth. I mentioned this last month, but as I featured Edith more thoroughly this month, I felt it bore mentioning again. 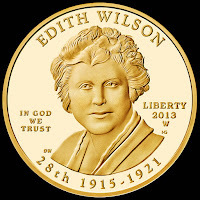 There was a $10 gold coin struck in the U.S. Mint at West Point commemorating Edith Wilson's time as First Lady. It was released in 2013, but uncirculated. The front is a replica of a sculpting done of Edith, and the back symbolizes Edith's support of President Wilson following his stroke. Her hand is resting atop his as he holds his cane. I just love the symbolism of that image depicted. It would be an amazing keepsake to add to my heirloom and legacy collection, wouldn't you agree? With my 40th birthday coming in just 3 weeks, I'm going to try hard to find it for a birthday present. Will update you in next month's post. * Do you have anything that has been passed down to you along the family line from generation to generation? What is it, and why is it so special? * What would YOU have done in Edith's shoes as First Lady with the President partly paralyzed following a stroke? * Select one unique fact from the post above that stood out to you and share why it appealed to you. Leave answers to these questions or any comments on the post below. Next month, I'll be returning to the stories and history on Chincoteague Island. Come back on the 9th of September to find out more. Labels: Amber Stockton, Edith Bolling Galt Wilson, First Ladies, Galt Jewelers, President Wilson, President Woodrow Wilson, Tiffany Amber Stockton, Washington D.C.
Wow! Amazing family history for you, Amber. 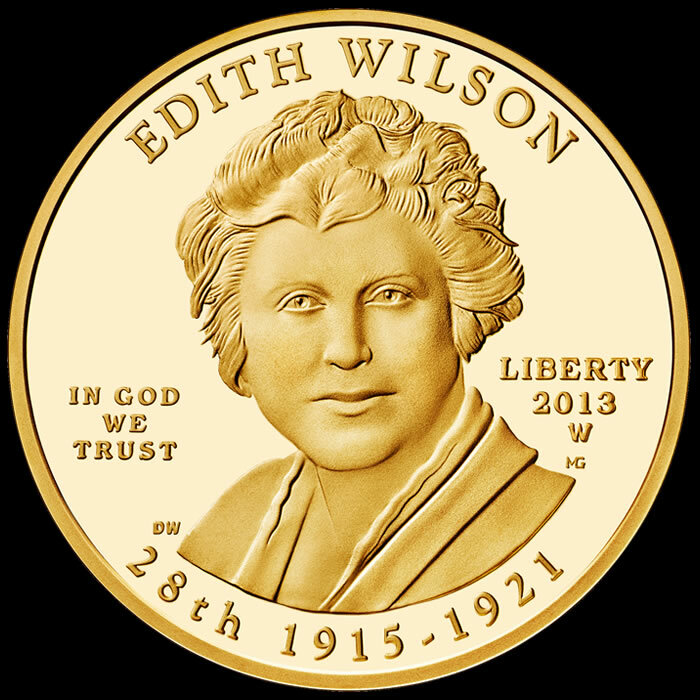 Edith fulfilled her role as President Wilson's helpmate after his stroke as I believe God would of wanted her, too. Her life prior to meeting President Wilson defintely prepared her for her role as First Lady, so I have no doubt God directed her path throughout her lifetime. Without a doubt, Marilyn. In all of my research of Edith, I have seen it confirmed time and time again that her steps were ordered by the Lord. She walked in grace and dignity and fulfilled the duties expected of her in each role she played. The more I learn about her, the more I respect and admire her in so many ways. 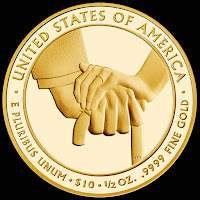 That coin image of their hands entwined speaks so eloquently, I just love it. It would be wonderful to get one of those. I think what stands out to me is their love story....love after tragedy and love beyond tragedy. Wonderful story! I love that description, Connie. The love after tragedy and the love beyond tragedy. Despite them both losing their first loves, they found love again and forged a triumphant life together. Edith went on to ride in President Kennedy's motorcade, so her legacy as a first lady lasted for decades. I look forward to when I can include her story in one of my books and keep her legacy alive for many more years to come. We have my great-grandmother's wedding band given to her by Manfred Whiteman in June of 1865. It has been used in wedding ceremonies as a symbol of lasting love for her great-great granddaughters and grandsons. As the oldest grandchild, I received my grandmother's wedding band and was instructed to give it to my oldest granddaughter when she married, and I did. Edith Wilson was a remarkable lady. I did some research on her for a paper I had to write. I know you're proud of your heritage and thanks for sharing it with us. It's a beautiful love story. 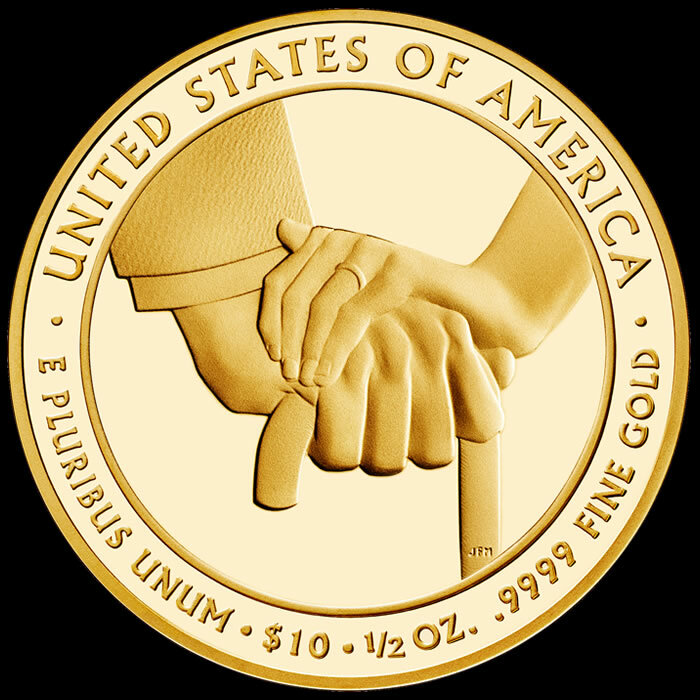 The coin is a beautiful symbol of love and very meaningful to me at the moment as my husband is using a cane to get around after a bad fall that injured his left side and leg. What a wonderful legacy...and that coin is so special. If you don't have the coin, here is a link I found...not sure if they are still available, though. 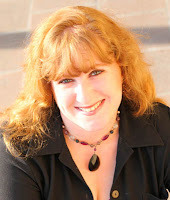 Debbie, thank you so much for that link! It's not the exact gold coin mentioned above, but it's a bronze replica along with a $1 presidential coin. It's given me a fantastic place to start. With my 40th birthday coming in just 3 weeks, I'm going to try hard to find it! Ha! The cheapest I can find for that GOLD coin is $859 with prices ranging all the way up to $2500!! Only 3 years old, and the coin is already worth 200x its value. Amazing! Of course, these are uncirculated and in original packaging. Not going to give up though. I'm sure I'll get my hands on one eventually. I have a flower garden quilt made by my mom's g-grandmother and another one made by my dad's mom. We had a bow-tie quilt that my sister ended up with. I remember the day she made a tent in her room and used that quilt for the roof. She put her tv inside the tent, but when she couldn't get reception, she cut a hole in the quilt. Even though I was only around twelve-ish, I appreciated the hard work involved in making the quilt, and quite happily tattled to Mom. Oh my goodness, Vickie! I would have tattled too!! How old was your sister that she would have not understood the importance of the legacy in that quilt? My children have both cut things they shouldn't have cut, but they were younger than 5. Now, they know to ask first. At least you still have the other two quilts from the grandmothers. We have several things passed down from both sides, but I am the only one of the 4 of us siblings who appreciates anything. My 3 brothers honestly don't give it much thought. So, I consider it my duty to carry on the legacy and traditions and family stories any way I can.